For thirteen years the Charity has been supporting young people in the Weligama area of Sri Lanka whose families and homes were decimated by the tsunami of Boxing Day 2004. 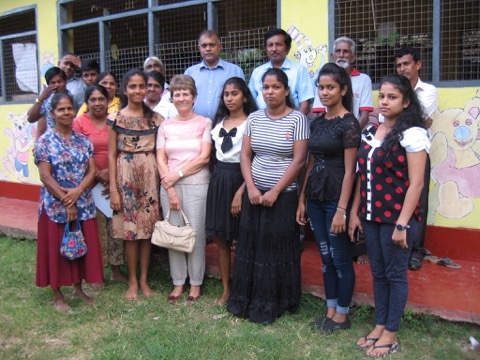 Our scheme with these children of the Sarvodaya Society involved transferring donations from sponsors in the UK to the children in order to support their education. At the start of the scheme there were 59 children involved and we agreed to support all of them until they reached the age of 18. In January 2018 the Chairman and Secretary met the final group of children who are still with us and are approaching their eighteenth birthday. It has been a wonderful scheme and thanks were expressed by Sarvodaya officers for the vast support given over so many years.